Obituary – Willis, Claudine Juanita (Kennedy) « Perry High School Alumni Association, Inc.
﻿Jr. Play ’45-’46; Perryscope Staff ’46-’47; Band Queen ’46-’47; Office Staff ’45-’47; Y-Teen Sec ’46-’47; Annual Queen Attendant ’45-’46. Claudine “Dena” J. Willis was born on January 18, 1929 in Perry, Oklahoma to Claude Herbert and Laura Etta Nida Kennedy and was raised in the small town of Lucien, Oklahoma. In 1969, she moved to Norman, Oklahoma. She went home to be with the Lord on Saturday, April 5, 2014 in Norman. 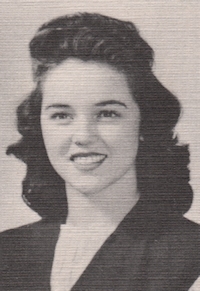 Dena attended grade school in a two room school house in Lucien and later graduated from Perry High School in 1947, where she was PHS Band Queen. After graduation, she attended Oklahoma State University where she received a B.S. degree in Elementary Education in 1951. She continued her education at Southwestern Oklahoma State University in Weatherford, Oklahoma and received a Master of Science degree in Education. Dena was a member of the Kappa Alpha Theta sorority and the Kappa Delta Pi honorary Education fraternity at OSU. In 1950, she was an attendant for the OSU Football Homecoming Royalty. Dena was a public school teacher for 20 years, teaching two years at Snyder Public School and 18 years at Noble Public Schools. She was a member of National Education Association and the Oklahoma Education Association. In March 1992, Dena was named one of the 29th Oklahoma Best Teachers in the state of Oklahoma and was honored by channel 5 News Television Station. Dena was baptized in Lucien at the First Methodist Church as an infant. On October 20, 1950, she was united in marriage to Fay M. Willis at the First United Methodist Church in Perry, Oklahoma and to this union, three children were born, Ronald, Karen, and Kathryn. At the time of her passing, she was a member of the McFarlin Methodist Church in Norman. 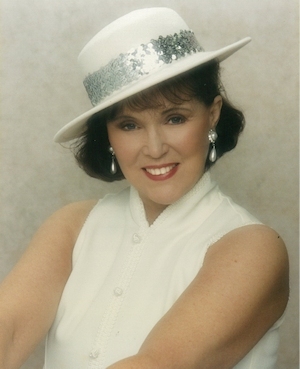 Dena was a former member of Registry DinnerDance Club and Women of the Moose. She enjoyed playing the piano and big band music. Dena also loved to dance, play bridge, bird watch and travel. Dena is survived by two children, Ronald Wayne Willis and his wife, Stephanie of Enid, Oklahoma and Kathryn Ann Cochran of College Station, Texas eight grandchildren, Kristin Lind Josh, Kerri Brackin, Wade Willis Heather, Allison Pennington Michael, Kent Cochran Nicki, Julie Durham Jason, Carter Cochran Elyse, and Alexander Kroll and six greatgrandchildren. She is preceded in death by her parents and one daughter, Karen Dawn Brackin. Graveside services will be 2pm, Monday, April 7, 2014 in Grace Hill Cemetery in Perry, Oklahoma. Visitation will be 1pm to 8pm, Sunday, April 6, 2014 with the family receiving friends from 4pm to 6pm. Memorial may be made to the First United Methodist Church of Perry in care of BrownDugger Funeral Home, 1010 N. 7th, Perry, OK 73077.